of the most sought-after Joomla Development service providers. We give you the best Joomla advantage for your business website. Websites Built on the Joomla platform support multilingual features that give you the advantage of catering to the global customers. Get the most interactive shopping website that has the user interface for seamless interaction between your customers, vendors, distributors etc. With Joomla you get the flexibility of up gradation and modifications as per your changing requirements. The simple and robust architecture lets you make changes seamlessly. Now make your website interactive by using multimedia integrations that are easily customizable and makes the website attractive for the customers. This is one of the best features of websites developed on Joomla. You get the advantage of multiple author authorizations which is beneficial for your team. Websites need to be SEO compliant in order to get visible on the search engines. 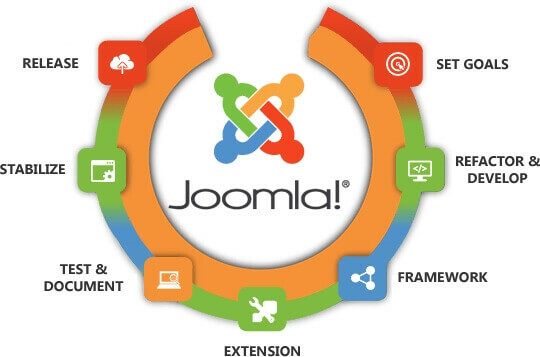 Joomla developed websites give you the advantage of customization and SEO orientation. Our team of expert developers breaks down large blocks of requirements into small chunks of modules to develop a project. We follow a step by step procedure to create a masterpiece. We have optimized our user interface and configured the servers for a hassle-free use of this service. We thoroughly discuss the requirements of the clients before embarking on developing process.